"As Harry Potter-verse matures, will it still connect with audiences?" The magic of the Harry Potter series shows how a children’s book series could connect with multiple generations. The wonder and awe of Hogwarts were self-contained, yet still ventured into the real world and allowed audiences to think it could really exist. Author J.K. Rowling was able to address the issues of humanity, but in a magical world of imagination that touched people’s lives around the planet. 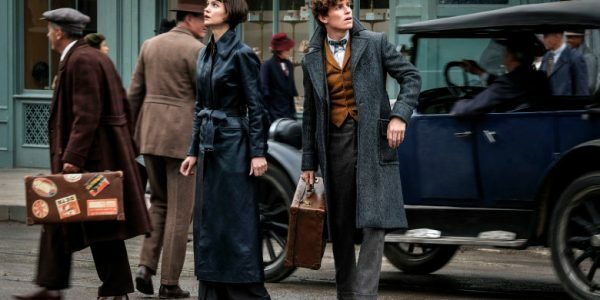 The Fantastic Beasts series attempts to capitalise on this world-building, but by only focussing on adult characters from the past, this franchise may struggle to connect with the younger set who love the captivating book series. 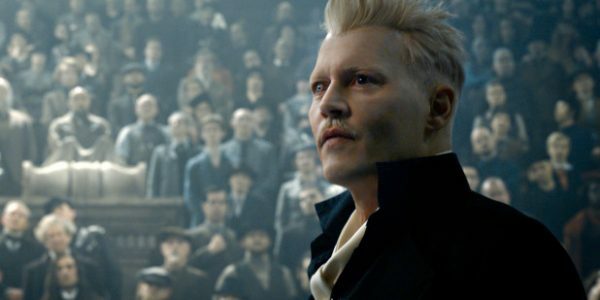 After Gellert Grindelwald (Johnny Depp) was apprehended by authorities in the United States for his crimes against the world of wizards and mankind, he has been held in the Magical Congress of the United States of America in New York. During a transfer back to the British Ministry of Magic, the dark wizard manages to escape towards Paris to look for the Obscurus, Credence Barebone (Ezra Miller), that had wreaked havoc on New York in the first chapter of this historical account of the world of wizards. Despite assisting in the apprehension of the villainous dark lord, Newt Scamander (Eddie Redmayne) has had his travel privileges limited to the British Isles. Even with his brother Theseus’ (Callum Turner) help at the Auror Office of the Department of Magical Law Enforcement, the magizoologist must maintain his private zoo and help to protect these extraordinary creatures in secret. Then Newt is visited by Albus Dumbledore (Jude Law) with an urgent request to get to the unstable orphan, Credence, before Grindlewald is able to recruit the young man to his evil cause. Even with the travel restrictions placed upon him by the magical authorities, the reluctant hero is able to enlist his No-Mag friend, Jacob Kowalski (Dan Fogler) on his covert mission to Paris. Both men are not only seeking out the Obscurus, but have a goal to reconnect with the magical sisters, Tina and Queenie Goldstein (Katherine Waterston, Alison Sudol) who left both men behind. The challenge for J.K. Rowling and the production team is managing the attitude people may have toward the changes to the source material for this new franchise. The target audience seems to be the adults who grew up on Harry Potter, but want something that appeals to more mature tastes. Even with the move to the past history of this world of wizardry, the look and feel is one that is meant more for adults than for children. Even though Rowling refers to the book series throughout the screenplay, the story and pacing deal with elements that may go beyond the comprehension of the younger ones. The writing does more to develop the characters of the first chapter of the franchise and lays the groundwork for an inevitable third film. Jude Law does provide the heart for the film that many may have thought was lacking in the original by embodying the much loved Dumbledore. Johnny Depp delivers a solid performance as the patiently conniving mastermind and does not undermine the storyline or overtake the focus of the film. 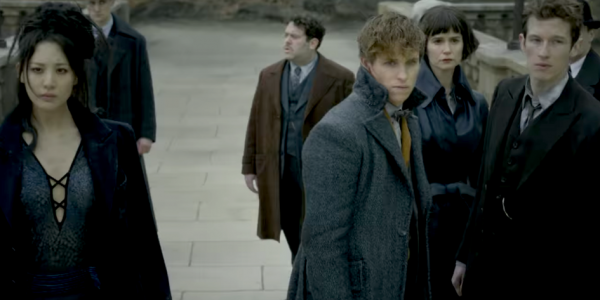 Eddie Redmayne and Katherine Waterston do an admirable job of reprising their characters, but one casualty of introducing so many new characters is that Alison Sudol and Dan Fogler are sidelined despite being the heart of the Fantastic Beasts and Where to Find Them. What does not sit well is trying to define the purpose this film serves in the Harry Potter tradition. The whole experience suffers from comparison to the rich character development and magic of the films that were inspired by the book series. Fantastic Beasts: The Crimes of Grindelwald may provide some satisfaction to those looking for more from Rowling’s world of wizards, but it is hard to imagine that it will capture the imagination of audiences around the world in the same way as her book series. Is this too mature for younger viewers?